Tips for taking care of your pet from the American Animal Hospital Association. 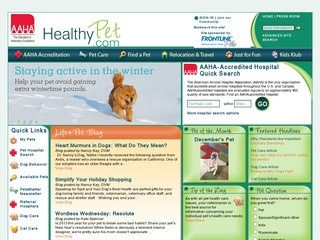 Helps visitors find the pet hospital nearest to where you live. The Kids Klub section includes coloring/activity sheets, games, fun facts, and care sheets.